Fundraising is a crucial part of throwing tournaments, and this year we’ve come up with some items to help fund the Hub City Huck. Get your hands on the latest NDGC gear today! To acquire these lovely items just drop us an email, and we’ll be in touch. Alternatively, come join us in our Facebook group. Items are all in limited supply. Don’t delay! 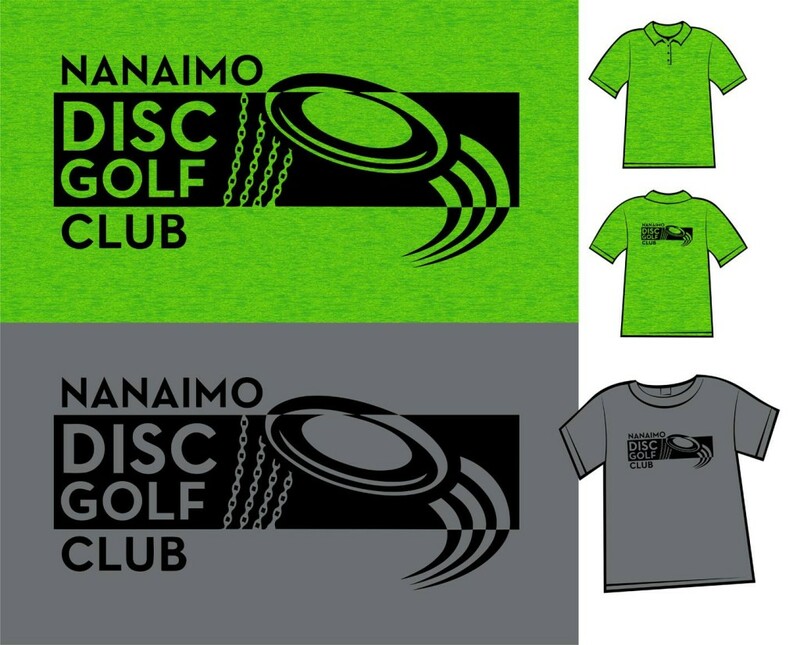 These are some seriously awesome, club stamped shirts! The fabric is great, and breaths really well. Perfect for those blistering hot days on the course. Be sure to send us your size info when placing your order. 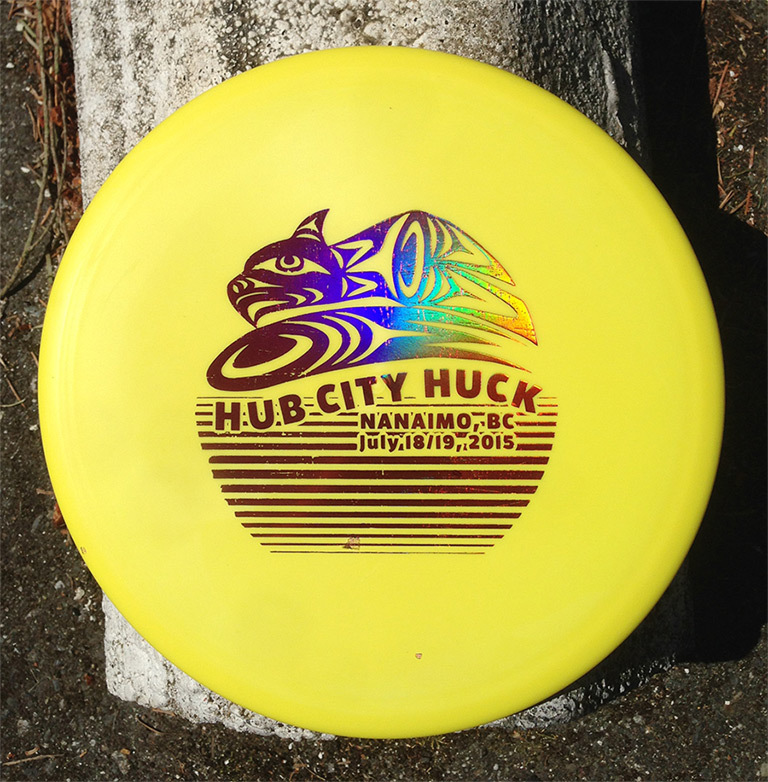 We bring you Hub City Huck stamped discs this year, with a design mashup by Joel Good and Brad Groat. 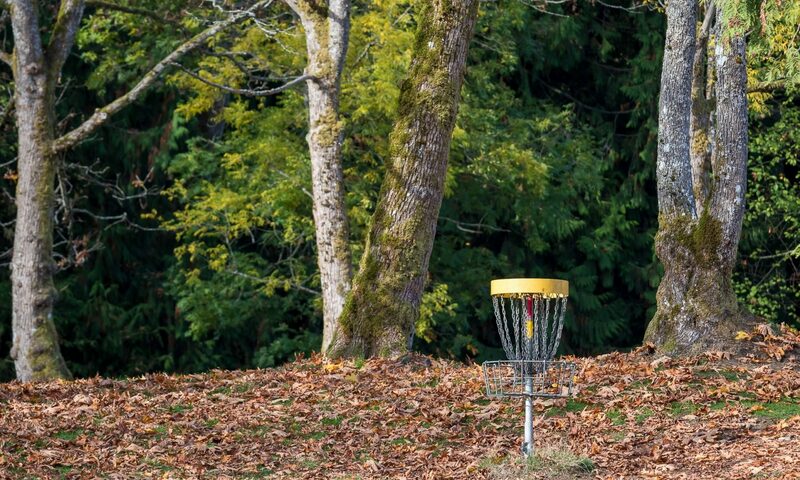 These discs provide great grip, and solid control for a wide range of players. Get yours before they’re gone!